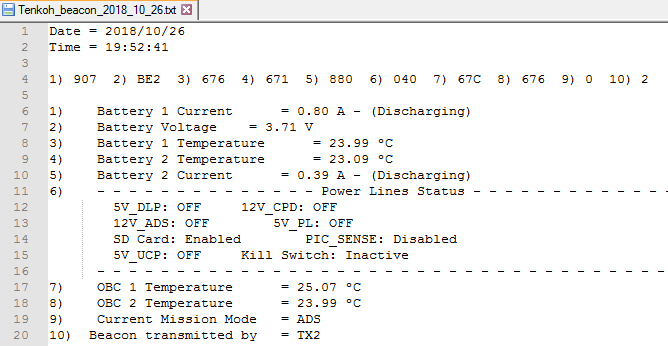 Ten-Koh’s telemetry data format is as follows. Ten-Koh’s sample beacon wave is as follows. 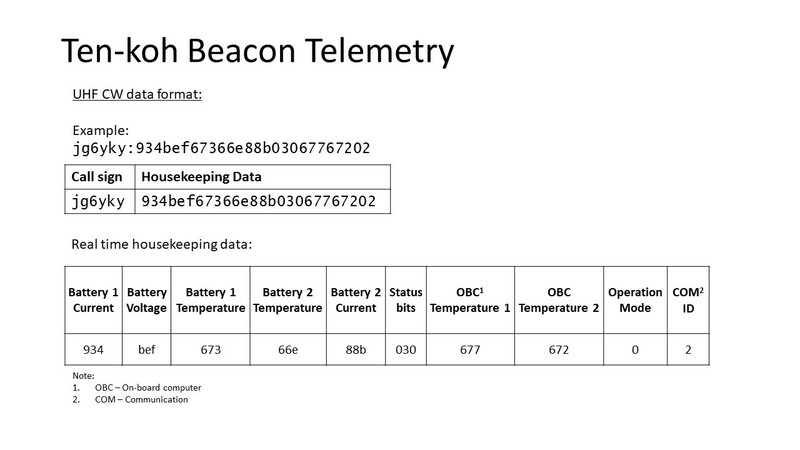 Download correct version of beacon decoding software. Unzip or extract file to a new folder. Double click on the executable file to run the software. 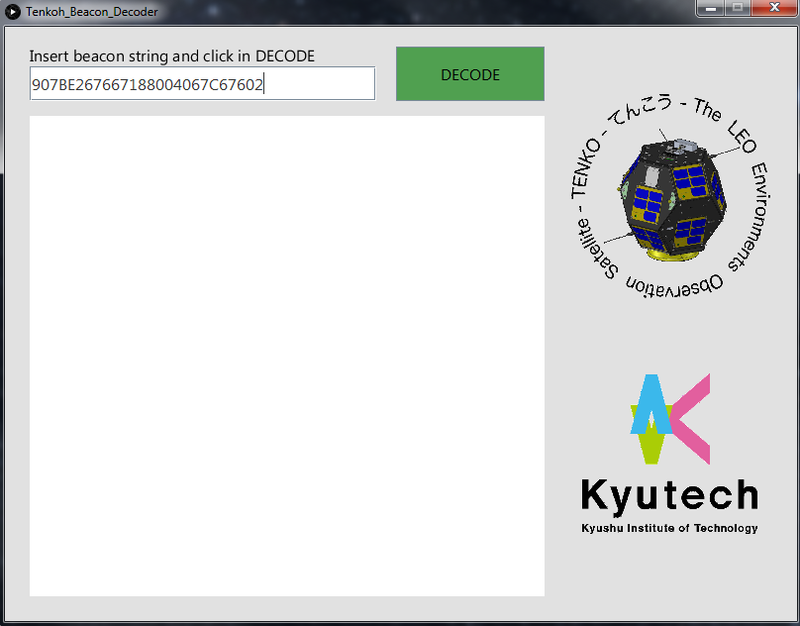 For example, for Windows-64bit version, double click on Tenkoh_Beacon_Decoder.exe. 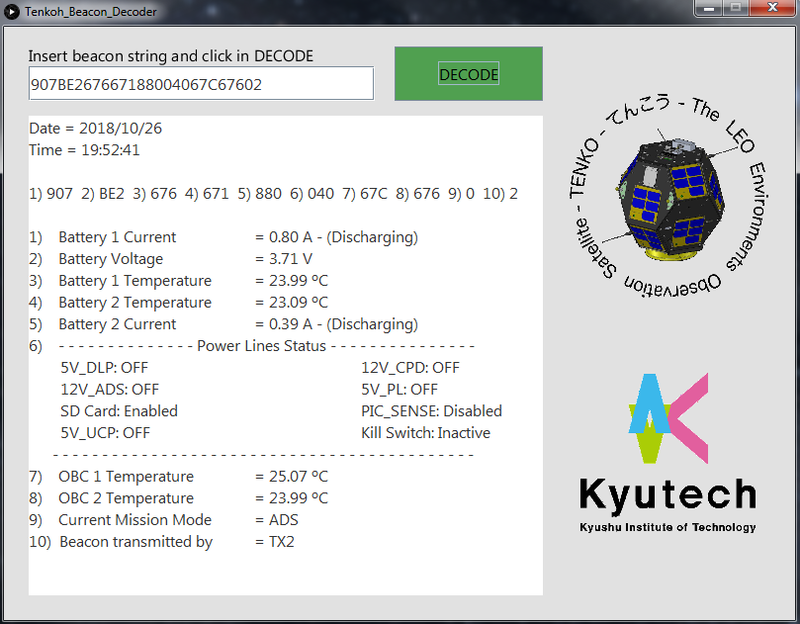 6.The beacon information is also exported to a text file in the same folder with Tenkoh_Beacon_Decoder.exe. We will ONLY use your information for our records and to mail the QSL card. Thank you for receiving Ten-Koh signal.